Gum disease is one of the most common oral health problems to affect adults at some point in their lifetime. As it is a progressive disease, early intervention helps to prevent permanent tooth and gum damage. 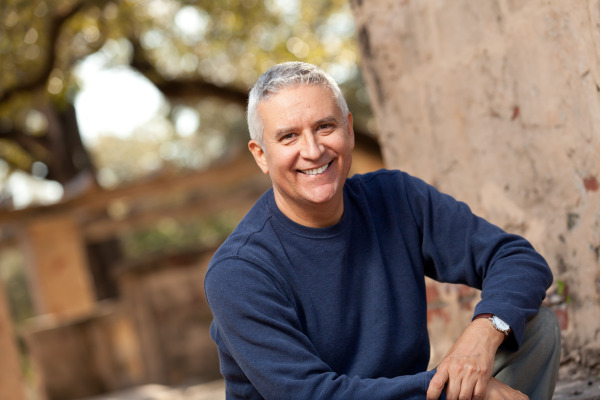 Not everyone will experience obvious signs and symptoms, which is why Dr. Golshan stresses the importance of biyearly dental exams and cleanings at his San Marcos dental office. Dr. Golshan and Dr. Phan help to educate his patients on gum disease prevention and treatment for periodontal issues. Gum disease progresses in three stages. The disease itself is the result of oral bacteria growth on the teeth and gums. When bacteria are left on teeth, plaque will build and become tartar. Without a professional cleaning, the tartar will damage soft tissue, tooth roots, bone and will eventually lead to tooth loss. Gingivitis: This is the first stage of gum disease, where debris and bacteria build up along the gum line, creating plaque. At this stage, the disease is reversible, because bones and soft tissue have not yet been permanently damaged. Periodontitis: Pockets of bacteria, plaque, and tartar move below the gum line that create pockets of infection. At this point, the damage is being done to the bones and connective tissue that hold the teeth in place. However, with professional dental treatment, it's possible to prevent more damage. Advanced Periodontitis: At this point, the damage to bone and soft tissue is severe enough that the tooth will loosen or shift, and may become loose enough to fall out. Aggressive treatment is needed to prevent tooth loss, but sometimes tooth extraction becomes necessary. In the early stages of gum disease, symptoms can be hard to detect, as there are often no symptoms. Because of this, it's important to keep up with brushing and flossing and to visit Grandon Village Dental Office in San Marcos for regular professional cleanings. - Arestin treatment, in which an antibiotic preparation is placed into gum pockets, to kill bacteria and help prevent further damage. Gum disease treatment requires more frequent visits to maintain good oral health. If you're concerned about the health of your gums, don't hesitate to contact us to make an appointment to see Dr. Golshanor Dr. Phan at Grandon Village Dental Office in San Marco, CA.